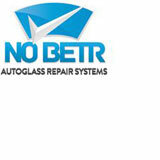 NO BETR way to start your own business today with No Betr Autoglass Repair Systems! As the industry leader in the manufacturing and distribution of professional autoglass repair and restoration systems, No Betr Autoglass Repair Systems are designed to be operated by anyone, are completely portable so that entrepreneurs can work from anywhere and are packaged with everything needed to turn the investment into profit. And, with a one-day training session with one of the company’s experts, investors can start work immediately. Another successful training session for entrepreneurs on their way to becoming self-sustaining. polish kit removes scratches from any glass surface including vehicle glass, shop fronts, patio doors, show rooms, display windows and more. At R7500, it includes a complete glass restoration system with abrasives as well as a polish system with polish pads. “The real entrepreneur will observe the opportunity for this business in every car. With millions of vehicles on the roads and so many windscreens to chip/crack and millions of headlights to fade, the supply of work is endless! You can live from just one job per day, while solving the problem for a happy client. And be happy yourself! ”All the systems are great companions to anyone working within the motor industry who are looking to provide exceptional service to customers. They also come with a 100% quality guarantee. 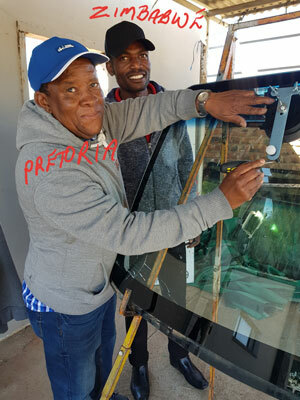 “We have the right system for anyone wanting to start an affordable but profitable business, so contact us today to get started,” ends Liebenberg.